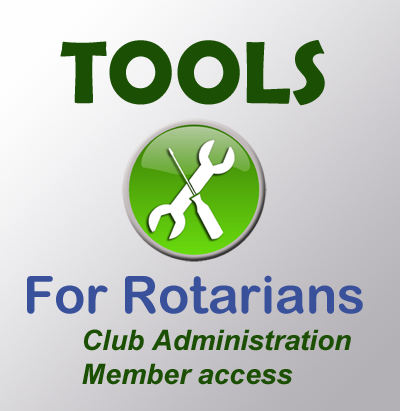 T his area provides a range of useful tools and information for clubs and individual Rotarians. In the MENU to the left you will notice several pages which are organised to assist key club officers. The "Forms and Downloads" area is organised in way that makes it possible for you to find documents related to a specific programme or club function. You also find a Public Image tools to assist you in promoting Rotary along with a graphics library. Most of the pages in the TOOLS area are open to all visitors to this website, however you may find a few areas that are restricted and will require you to login with your name and password.